We just catered for another successful event! This time, we set up a self-service pod coffee station serving Toba coffee for the Wantedly booth at Echelon Asia Summit 2017 in the past two days (28-29 June)! Wantedly offers a new way for Employers and potential Employees to connect, and it is focused on bringing people together based on shared passions and visions. 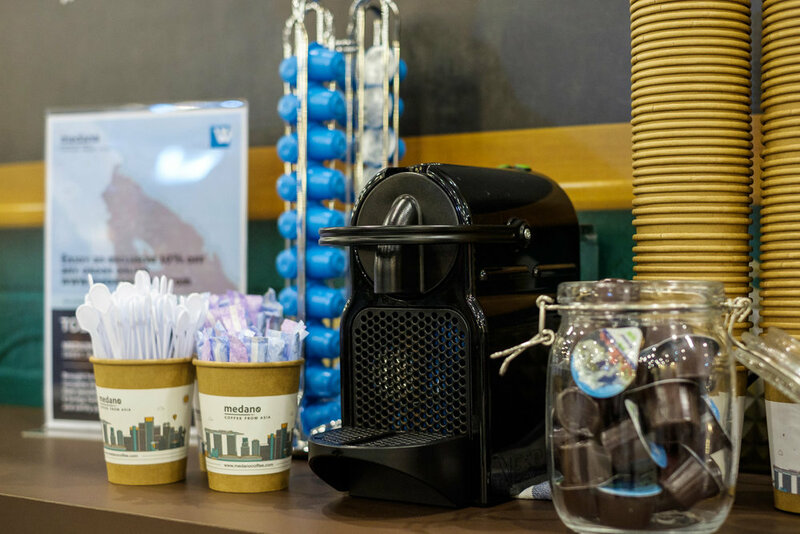 If you are attended the summit, we hope you enjoyed our freshly brewed coffee. Don't forget that you can purchase our Toba coffee pods here and do check out the exciting services Wantedly has to offer on their website. Contact us now for event enquiries! Explore Our Different Coffee Flavours With New Photos!